Water is integral to all life on Earth and responsible water stewardship within corporations is essential to protect this scarce resource. Members of the Tri-State Coalition have long engaged companies on mitigating the negative impacts of business operations on water quality, promoting respect for the Human Right to Water, and encouraging companies to take steps to fulfill Sustainable Development Goal 6. The Human Right to Water framework informs our strategy – urging companies to take steps to ensure they do not interfere with the right of everyone to sufficient, safe, acceptable and physically accessible and affordable water for personal and domestic uses. We currently engage companies in the food and beverage, agricultural commodities, mining, and oil and gas sectors on water stewardship. Tri- CRI strives to raise awareness among corporations and shareholders about the increasing scarcity of water resources, to ensure that corporations take responsible actions to limit and restrict the pollution and overuse of water, and to address issues of control and privatization. Through resolutions and dialogues, Tri-State CRI members have advocated for improved corporate water disclosure and risk management, including water risk mapping, developing and implementing Human Right to Water policies, establishing water use reduction goals, and adopting comprehensive water stewardship plans to address water pollution. Water quality in the meat sector continues to be an engagement priority this year. On behalf of the American Baptist Home Mission Society (ABHMS), Tri-CRI re-filed a resolution with Tyson Foods asking the company to adopt a water stewardship policy. Tri-CRI also leads a dialogue with Hormel Foods to follow up on the implementation of their water stewardship policy, which was adopted as a result of our investor engagement. Water stewardship is also a component of our ongoing dialogue with Hershey. Water stewardship is one of the focus areas of the sustainable agriculture dialogue we lead with ADM. Investors continue to encourage the company to assess water risks in the supply chain,, engage with more growers on water stewardship, and follow up on water risk mapping. We were pleased to see ADM recently incorporate the Right to Water in their revised Human Rights Policy, which we encouraged in our engagement. Shareholder engagements focused on increasing public disclosure on water stewardship have also been successful. Tri-State CRI engagements with Tyson and ADM prompted both corporations to begin reporting to CDP Water on their water risk management. Tri-CRI supports an engagement led by the Sisters of St. Francis of Philadelphia with Chevron on the community impacts of hydraulic fracturing (fracking). Investors continue to urge the company to adopt a Human Right to Water Policy and encourage more meaningful stakeholder engagement to include community voices. On behalf of our client the Fetzer Institute, we engage on responsible water stewardship and encourage consultation with community stakeholders to assess the impact of operations on water resources and to ensure adequate steps are taken to minimize competition for water and reduce risks of contamination. Toward Water Disclosure: Recommended Process Tools. For over 40 years, General Electric disposed of at least 1.3 million pounds of PCBs (polychlorinated biphenyls) into the Hudson River. GE plants in Fort Edward and Hudson Falls, NY are also heavily contaminated with PCBs. 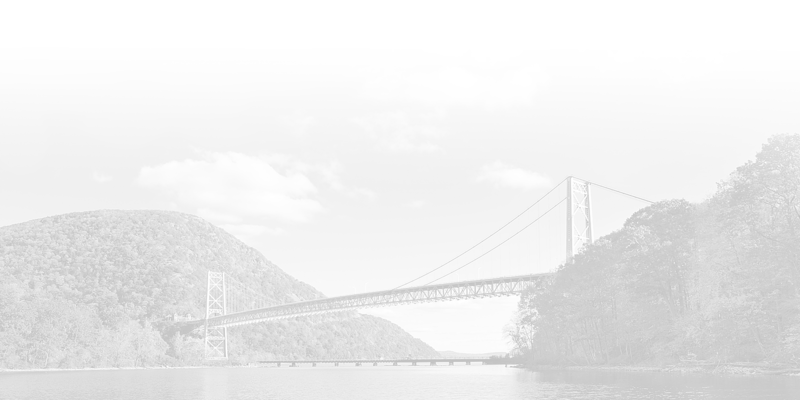 The Environmental Protection Agency designated 200 miles of the Hudson River as a Superfund site in 1984. The plant sites are New York State Superfund sites. 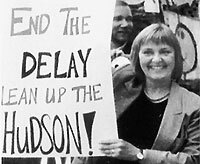 In February 1976, a state Department of Conservation Hearing Officer, in a case against GE, described GE’s actions as “corporate abuse” and found that the record “overwhelmingly” demonstrated that GE violated NY State law by discharging large quantities of PCBs into the Hudson River. Since the mid-1990s, the Tri-State Coalition for Responsible Investment has used its shareholder power to pressure GE to clean up the Hudson River. Despite the EPA’s decision calling for the removal of PCBs from the Hudson River, the cleanup only began in the spring of 2009. Our shareholder resolution, calling on the company to report its costs in legal and public relations fees related to delaying the cleanup, received the support of over 25% of GE shareholders in past years.